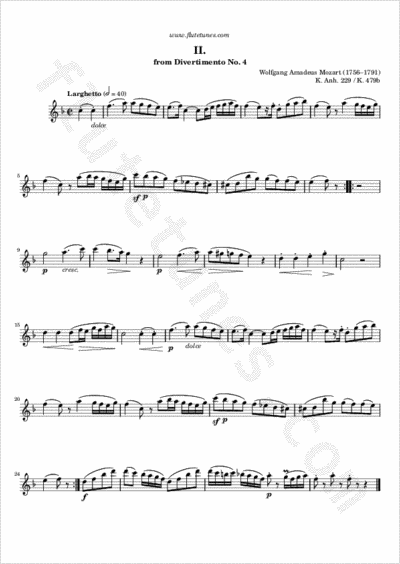 This Larghetto is the second movement of the fourth of 5 Divertimentos for three basset horns composed by Wolfgang Amadeus Mozart from 1783 to 1785. These pieces were later rearranged for solo piano and published as the Six Viennese Sonatinas, which is why this piece is also known as the Adagio from Sonatina No. 5. Thanks to Johann for suggesting this piece!